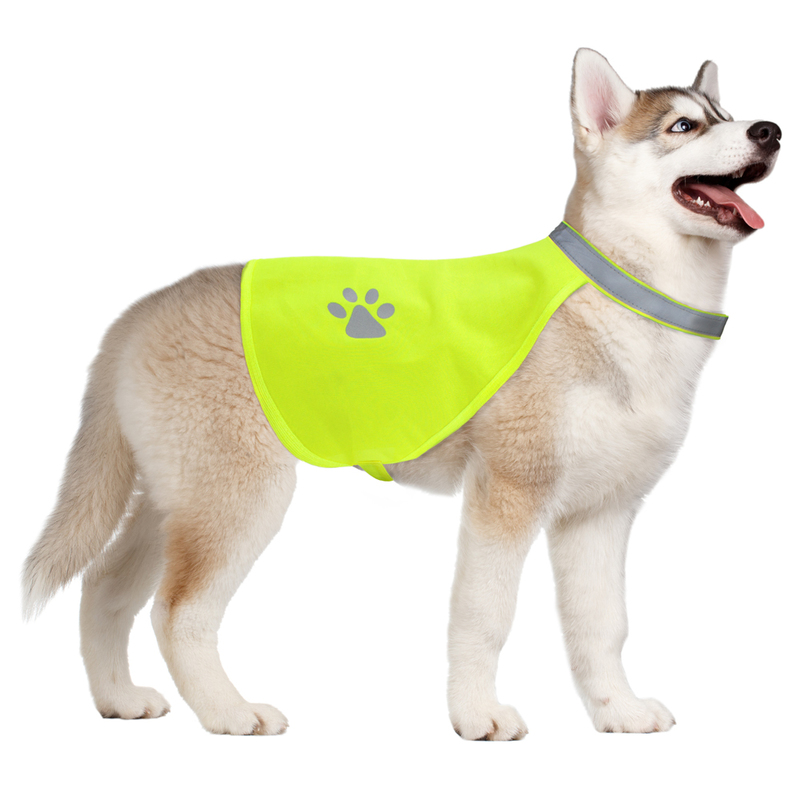 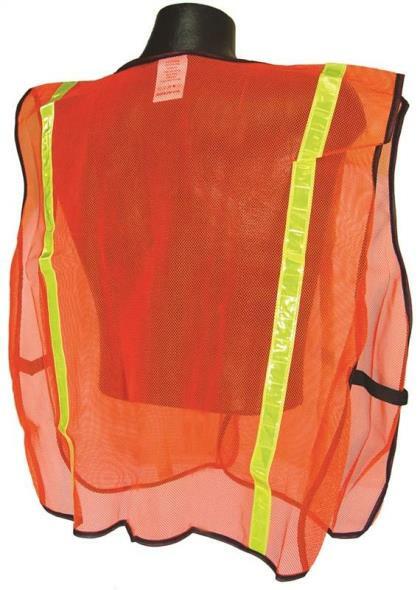 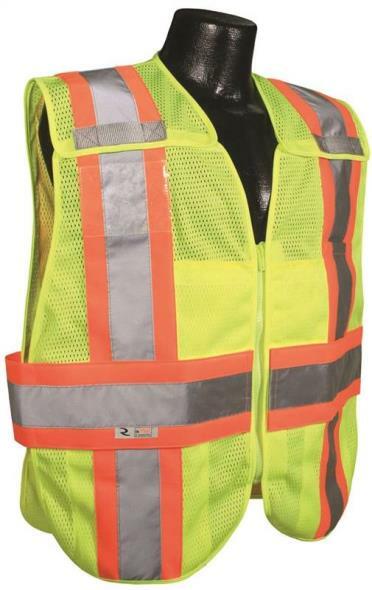 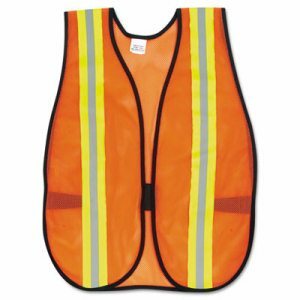 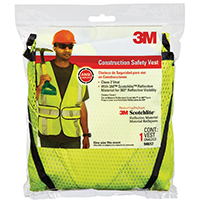 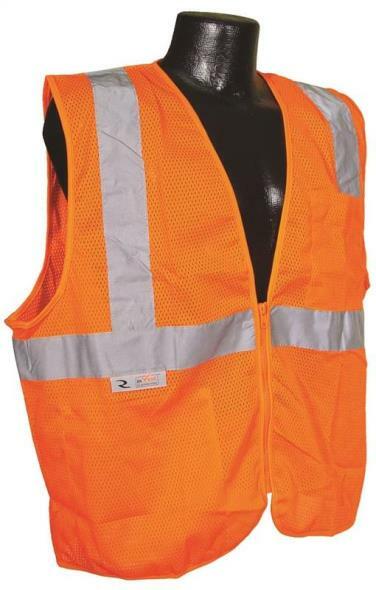 Allow your employees to maintain high visibility in dark areas with a brightly colored, non-certified safety vest. 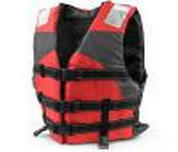 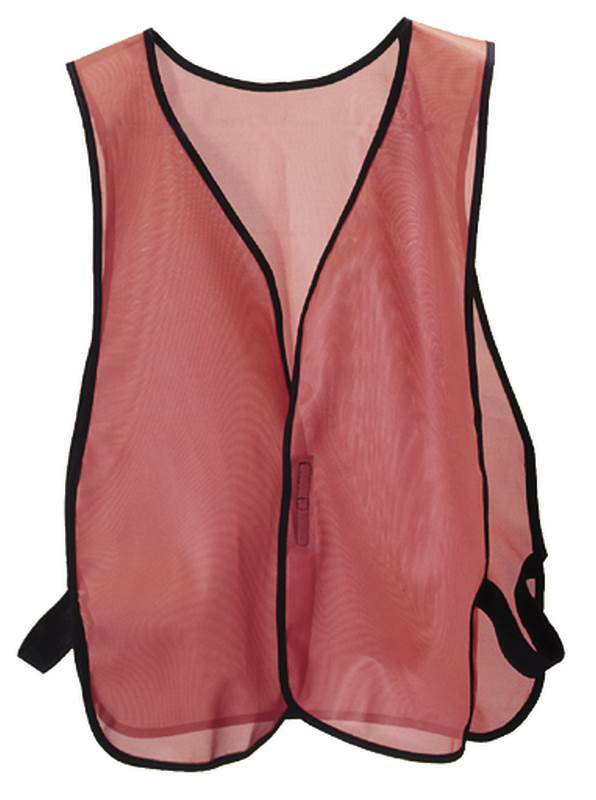 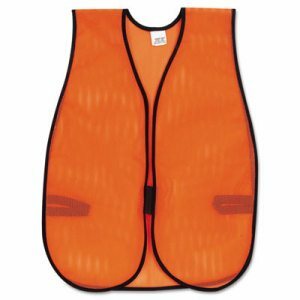 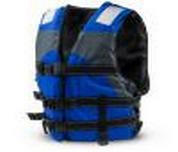 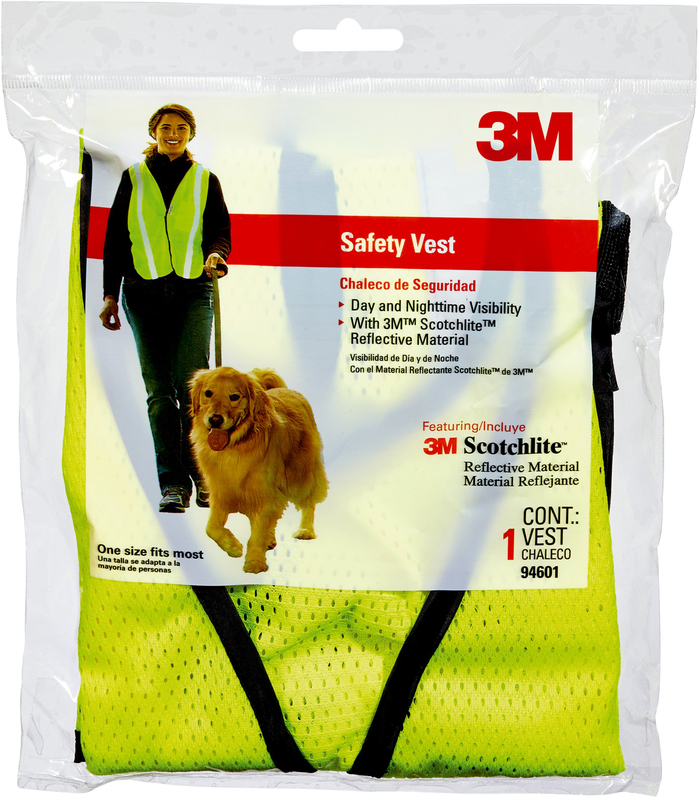 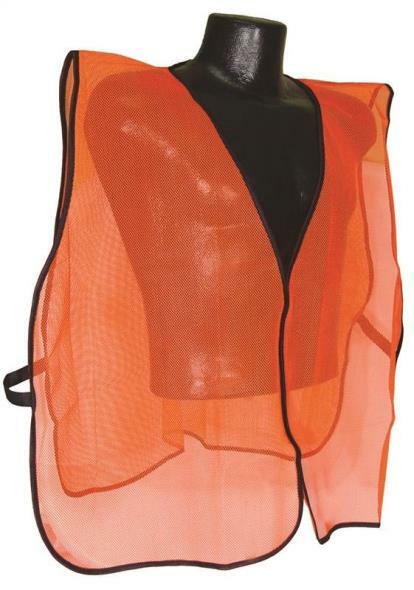 Easy-to-use hook and loop closure ensures that vest stays on securely. 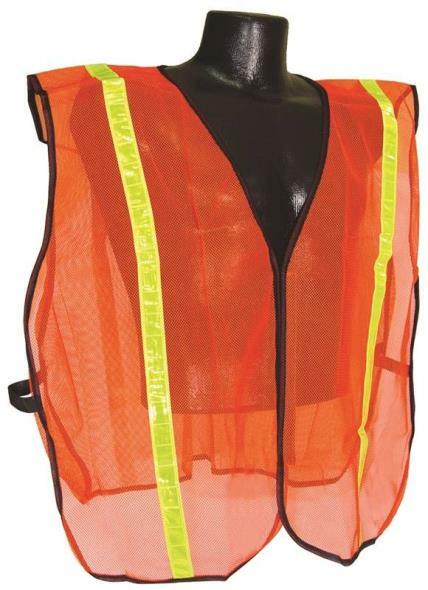 Reflective stripe provides added safety in low lighting. 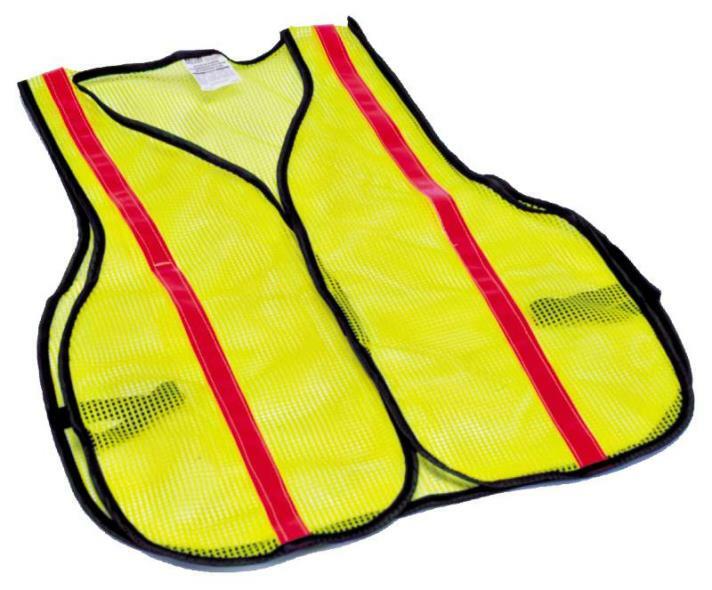 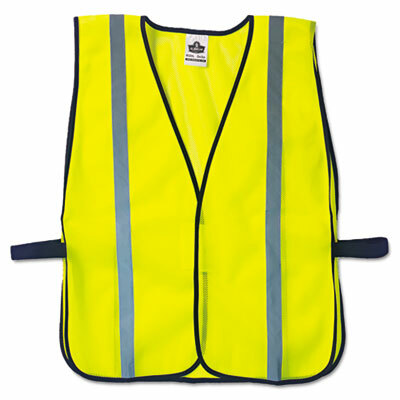 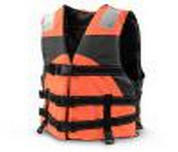 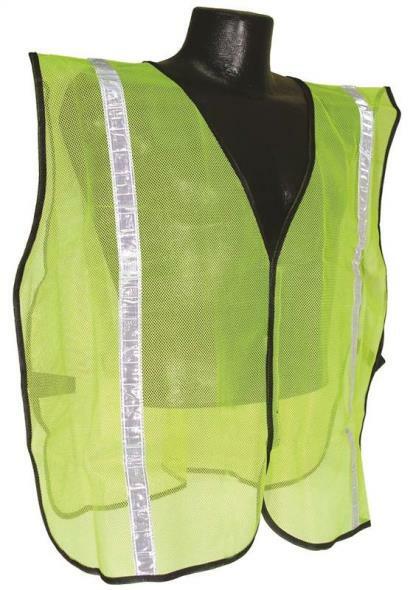 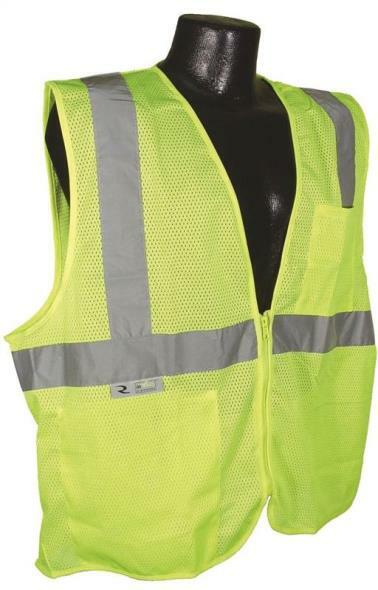 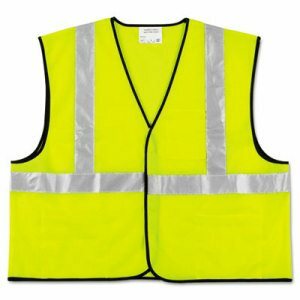 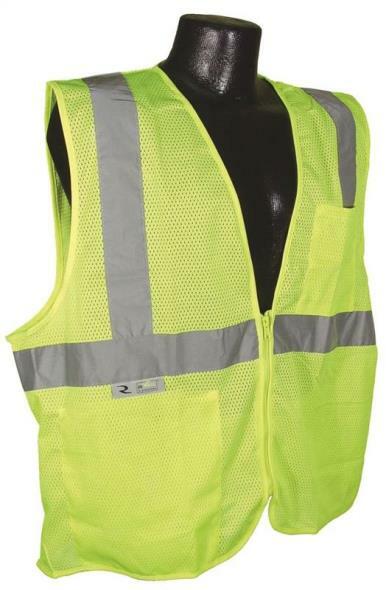 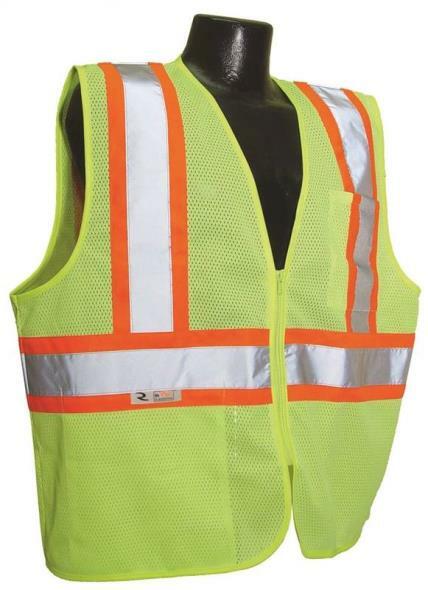 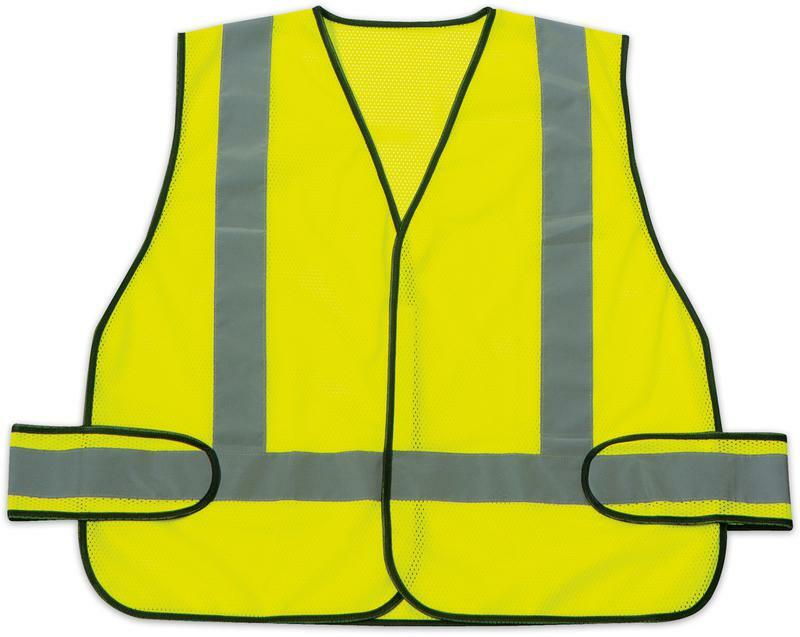 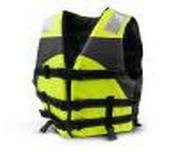 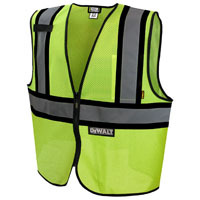 Apparel Type: Vest; Material(s): Polyester Mesh; Color(s): Lime; Size Group: One Size Fits All.